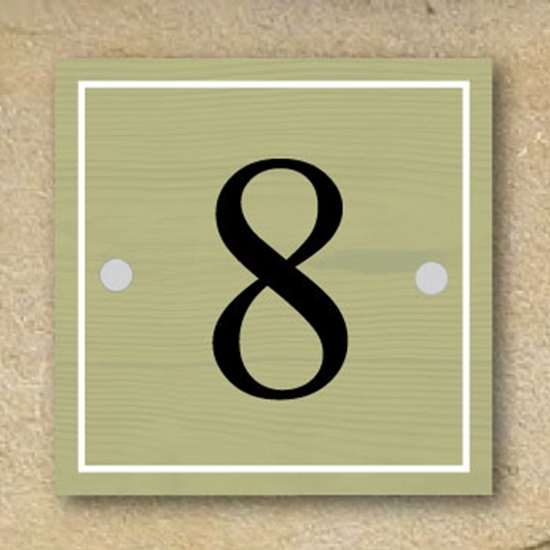 SH-00108 - This sign is printed in the style of a traditional wooden country style sign. No maintenance required - No fading or weathering like a painted wooden sign. We can personalise the sign with any text you like. NOT THE SIZE YOUR AFTER?- Email us - we can make them in any size. High quality 3mm thick Aluminium Composite, printed with the latest technology UV inks, fully weatherproof and ideal for outdoor use. BESPOKE ITEMS UNFORTUNATELY CANNOT BE REFUNDED. PLEASE ENSURE THAT YOU CHECK ALL DETAILS ARE CORRECT BEFORE PLACING THE ORDER. IF YOU ARE UNSURE ABOUT THE COLOUR OR THE MATERIAL PLEASE SEND FOR A SAMPLE. Send a large stamped addressed envelope to the address on the contact us page. Our signs take 2-3 days to manufacture + delivery time so with standard postage it would be just over 1 week. •FREE Standard (Mainland UK Only) (this applies to products with the "FREE SHIPPING" icon - We aim to deliver your order in 6–7 working days - depending on how busy we are. •Standard Shipping (FREE) - We aim to deliver your order in 6–7 working days - depending on how busy we are. •Tracked (Mainland UK Only) (£5.99) - We aim to deliver your order in 3–4 working days - depending on how busy we are. •Express (Mainland UK Only) (£19.95) - Go to the top of the pile with our express service. Your artwork will get priority status with a Guaranteed Next Day Delivery once the item has been manufactured. •Highlands and Islands (£19.95) - We aim to deliver your order in 3–4 working days - depending on how busy we are. A picture proof will be sent out if you select the "email proof required" button, (not all of our products require a proof). Once we have received your order we will send you a picture proof to your email address at the earliest possible time. Please check the proof over and let us know if you are happy with the layout or if you require and changes. We will make as many changes as you like to get the item looking just as you want it. Please note that we will not dispatch without acceptance of this proof. 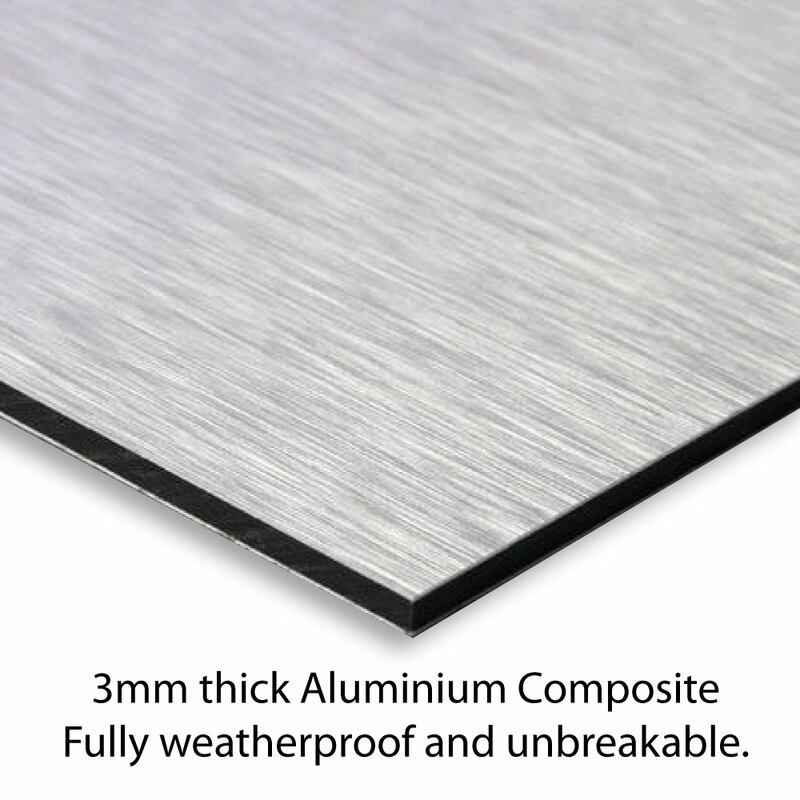 3mm thick aluminium composite is made up of two thin layers of aluminium with a polypropylene core making a very robust sign which is fully weatherproof and unbreakable. Directly printed with durable UV inks with a high quality professional finish. If you are unsure about the material/colour we offer a free sampling service befor you buy, please contact us with your request. Copyright © 2019 JAF Graphics Ltd. All rights reserved.